Combining digital signage with handheld devices, VOD allows for stored content to be displayed on a digital signage monitor. UCView allows for Video on Demand capability. Combining digital signage with handheld devices, VOD allows for stored content to be displayed on a digital signage monitor. This feature allows for network operators to access content, apps, videos, and images that have been stored in their library. Customers can use a mobile device to obtain content, schedules, employee training videos, and more with just a touch of a button. 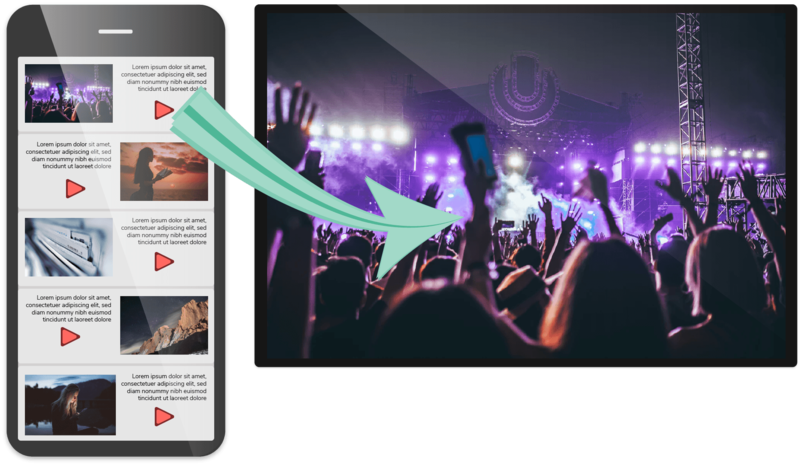 Using just a handheld device, the Video on Demand feature allows for updates to be added in just seconds! Most flexible digital signage solution on the market.